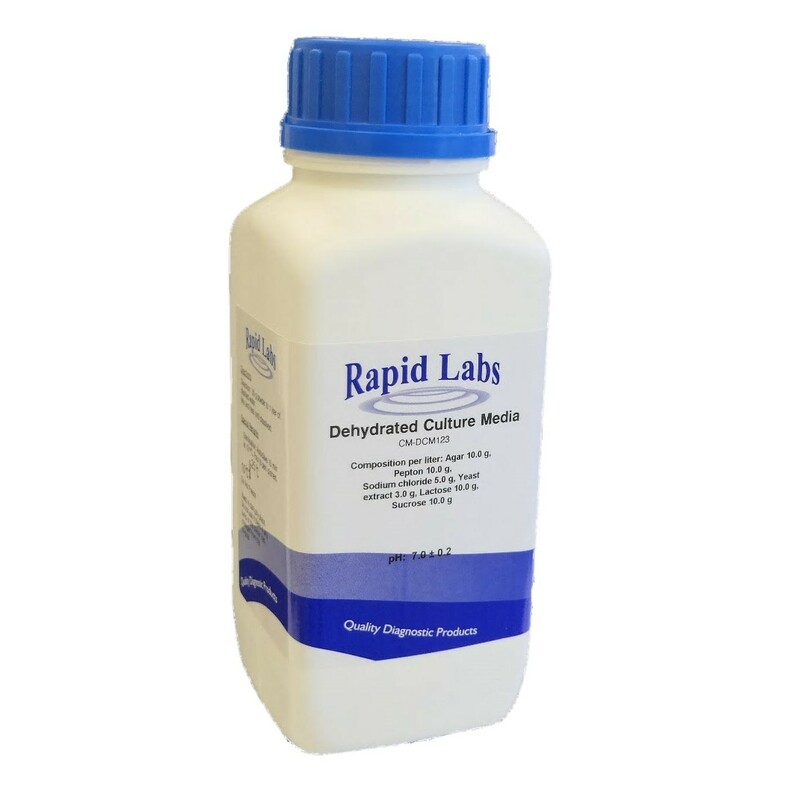 A medium for the detection, isolation and enumeration yeasts and moulds. The addition of lactic acid suppresses bacterial growth. Add 49.0 grams of dehydrated culture medium to 1 litre of distilled water, allow to soak for 10 minutes, swirl to mix then sterilise for 10 minutes at 115°C. Do not overheat because the agar will not harden. Pour into sterile Petri dishes or distribute into sterile tubes. Ready to use medium: very slightly opalescent, amber coloured agar.